This is Vanilla atropogon (atro: dark, and pogon: beard, referring to the dark, hairy lip). It was co-described six years ago by Andre Schuiteman from Kew Botanical Garden and was only known from one location (Khanh Hoa Province) in south Vietnam. 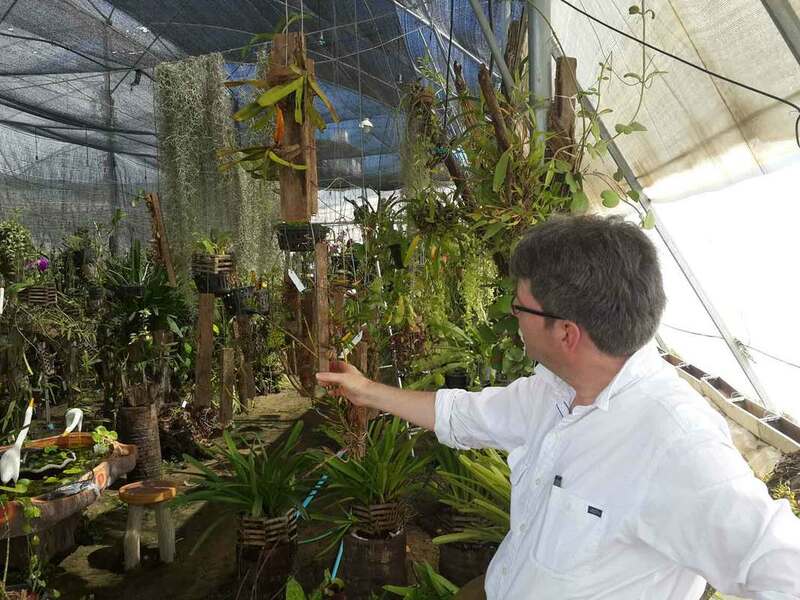 The discovery in Cambodia was made by Mr Det Song in central Cambodia and marks a very nice start for orchid research in 2019! Finding Vanilla in the wild is pretty rare, but having the Vanilla in flower is even more of a feat, as the flowers only last for one day. This makes the identification of this plant a real achievement. As seen on the picture above, a large number of ants seem to be attracted to its pods despite its spectacular flower. As indicated in the publication by Dr Schuiteman, the unusual colour of the lip of V. atropogon in combination with the bad smell of the flowers suggests that it may be pollinated by flies. There are over 100 known species of Vanilla in the world today, but only 3 are farmed for their commercial value. While early botanists of Indochina like Pierre L. had documented the presence of Vanilla siamensis in Cambodia (1874), the find was confirmed by Dr Dy Phon in 1968, by Marie Martin in 1970, by Marpha Telepova texier, Olga Averyanov, Jancloes (C, C, N), and Tola Sem in 2013/2014. A year later, a new Vanilla finding was also made by Sok Vichea: Vanilla aphylum (leafless). 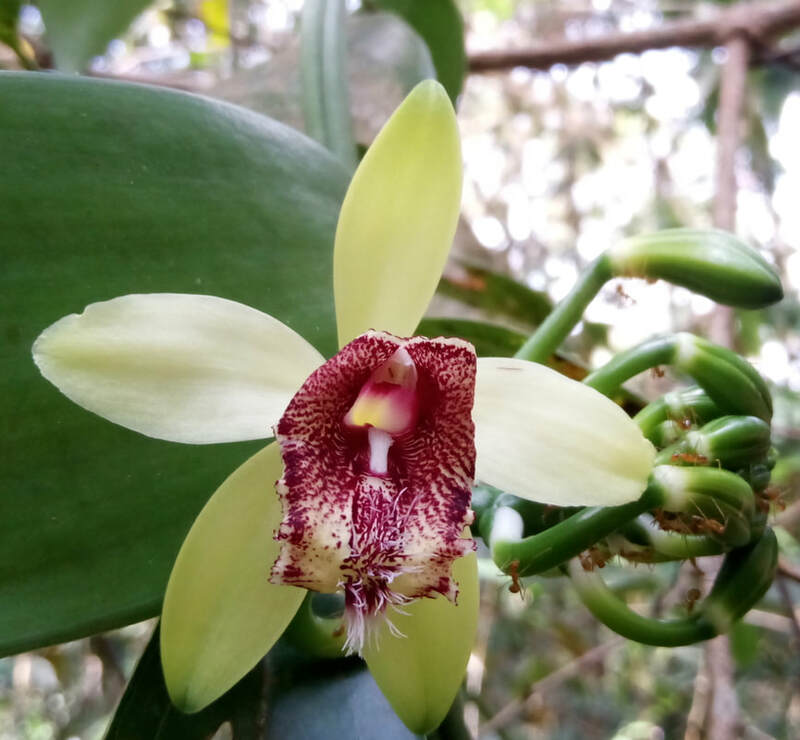 This latest finding is therefore the third known Vanilla species in Cambodia. The Chicago Botanical Garden is currently hosting an Orchid Show that features some amazing displays, including an historical orchid timeline* and we have the honour to show-case it here, for you. *A few more time-events were added to this digital adaptation produced by OrchidCambodia. 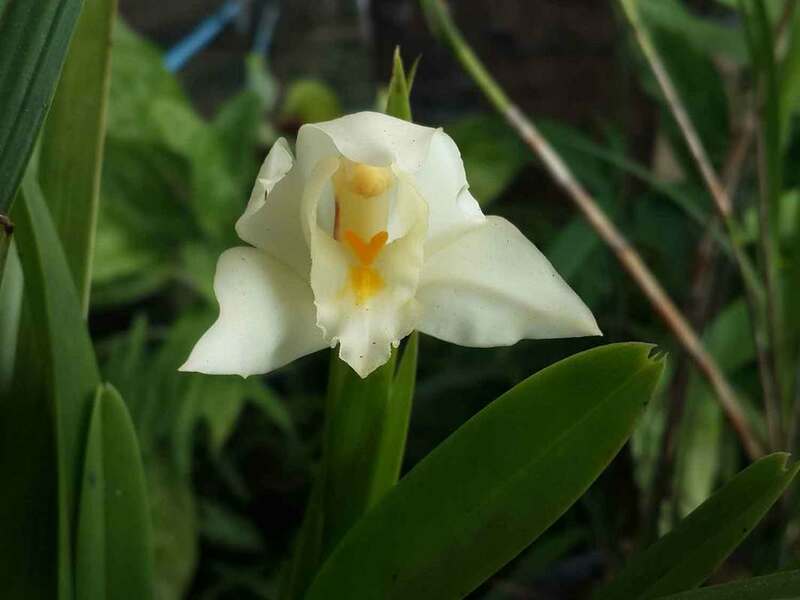 New Orchid Records for Cambodia! 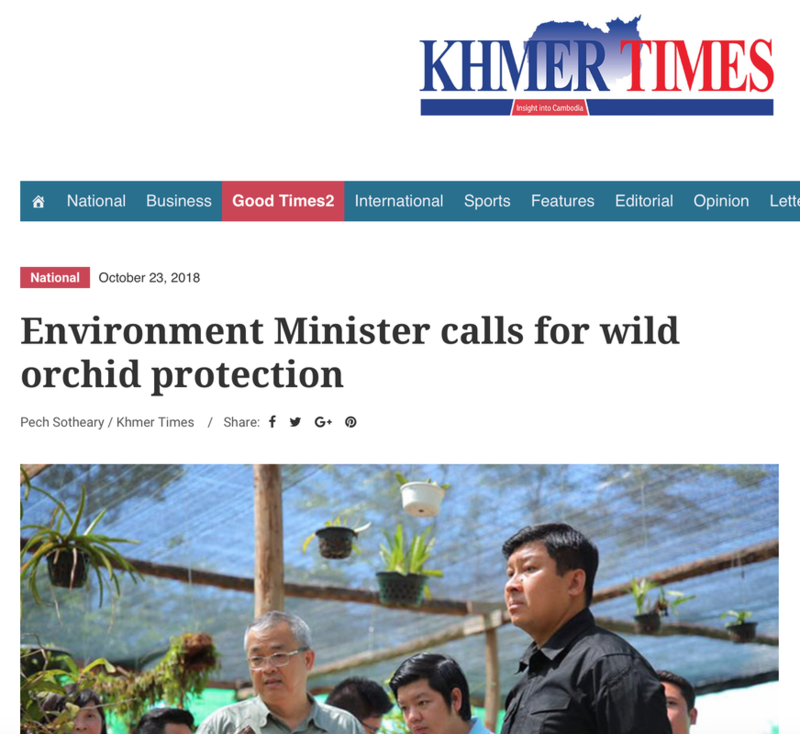 This study marks a new step forward in orchid research in Cambodia - and will greatly help us to complete the orchid checklist. It also illustrates perfectly the importance of the National Collection in the work of preservation and research. Sorry! Some of you will have noted that our old site has been down. We are now changing our site but it is taking sometime to update the new site. Hope you will understand and keep watching this space for more news coming soon! We are a volunteer project that works with the National Herbarium (RUPP) and the National Collection (Forestry administration) for the research and preservation of wild Cambodian orchids. All photos in this website are copyright to orchidcambodia and its associates. No picture in this site can be used without prior agreement by owners. Thanks for your understanding and do not hesitate to ask.